If you are creating viral content for the web there are a lot of tools that can help you quickly and effectively create the type of content that will attract a large audience, keep advertising networks happy, and ultimately allow you to more quickly create a finished product. From blurring out faces and other body parts to accurately checking for spelling and grammar mistakes to quickly finding photos that won’t lead to copyright infringement claims, we’ve collected some of the most useful and 100% free content creation products currently available to writers and editors. Depending on the type of content you are creating, there may be a need to blur or pixelate a face or body part. 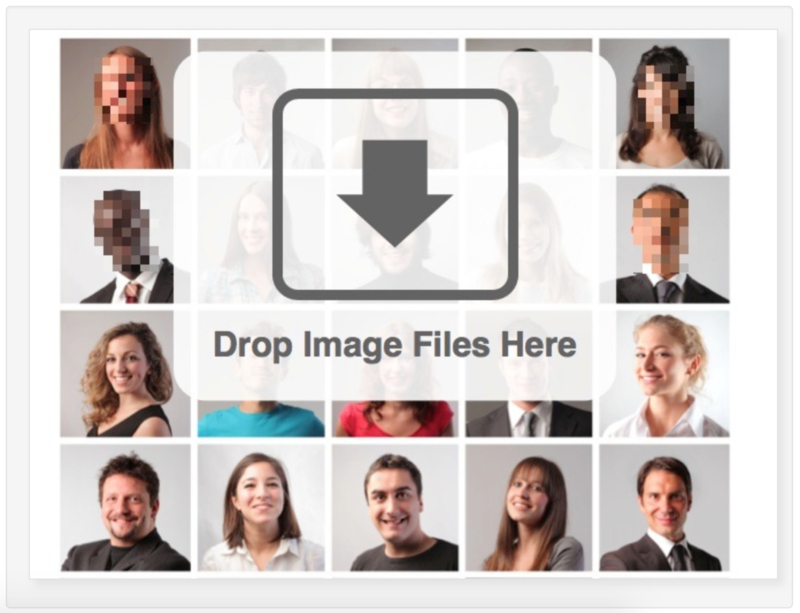 Face Pixelizer allows users to easily drag and drop images into the company’s online platform. Simply choose the area to be blurred or pixelized and you are good to go with a free download of the edited product. 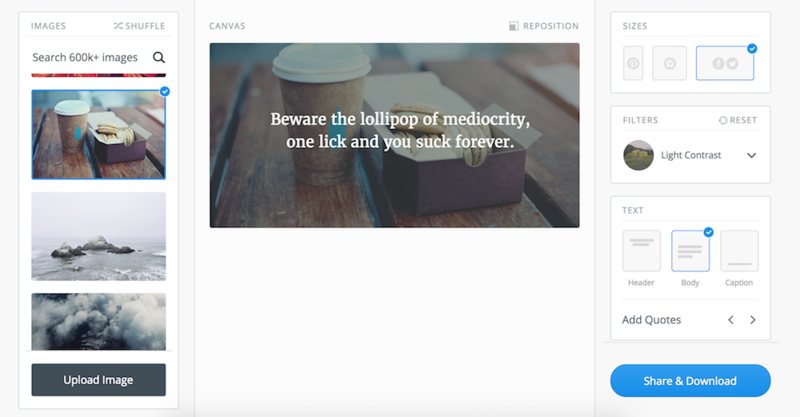 If you want to add a bit of extra oomph to your online posts, you should give Fotor a try. The platform is free for basic collage creation (like the example shown above) and very affordable for additional collage creation services. Just drag and drop your photos into the platform and then drag them into place. Save your file to your desktop or your favorite social media platform and you’re done. Every writer at Presto Media is required to use Grammarly. The platform, which offers free basic services (good enough for most writers) and advanced editing options, includes a Chrome extension that allows writers to edit all of their online content in real-time. I personally use Grammarly via a Mac app that remains active across all of my digital content creation platforms and while editing from my various desktop-based apps. Pablo by the team at Buffer is a must use and FREE platform if you plan on creating highly shareable images for Pinterest, Instagram, Facebook, and Twitter. The platform allows users to upload images, embed them with text, and even choose image sizing based on best practices for each social network. You can move text around the screen, chance text colors, and even shrink and increase text size based on your own needs. As an added bonus, add your finished product into your Buffer account to maximize social network posting times for better reach and engagement. A great viral list engages users with various types of content. Alongside photos and videos, one of the most popular formats is the GIF. 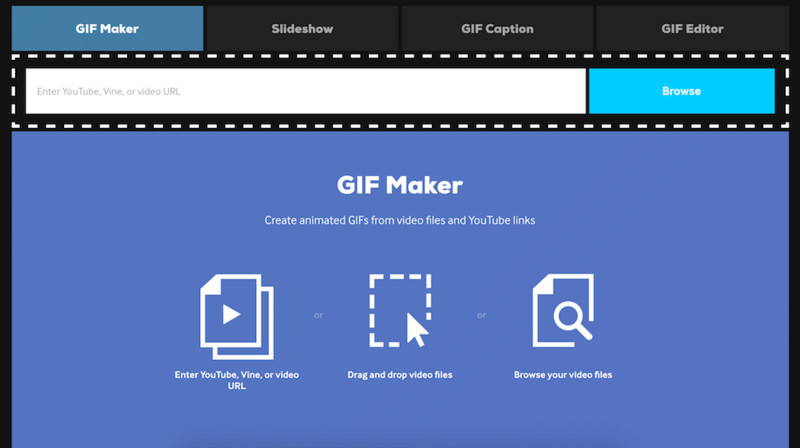 Giphy allows users to enter a YouTube, Vine, or other video URL or drag and drop in a video file for quick GIF creation. The platform is 100% free and very intuitive to operate. Share your finished product on your own website and offer it as a fun cross-promotional tool on Giphy if you really want to jumpstart your content marketing campaign. If you plan on curating a bunch of memes for a piece of viral content why not create your own. 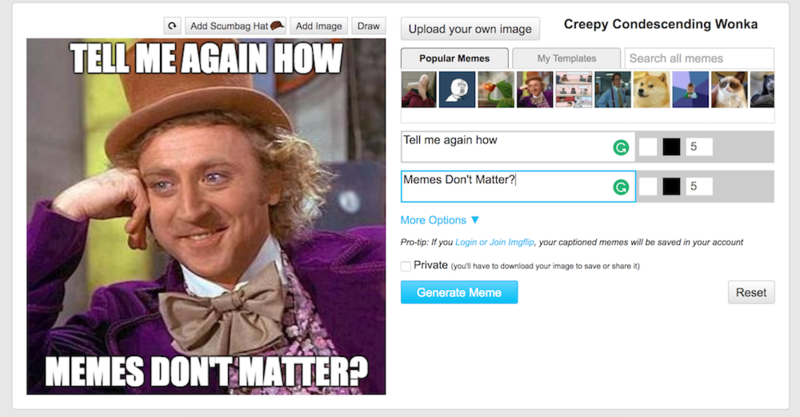 Imgflip allows users to upload photos and create memes in a matter of seconds. The platform is very intuitive and memes can be shared on the platform or downloaded for other purposes. This is a great service if you want to add to a meme conversation and not simply grab already created work. Let’s face it, most people don’t need Photoshop and don’t have the time to learn the ins and outs of such a powerful platform. At the same time, Mac and PC users are not given access out of the box to powerful photo editors they can use on the fly. 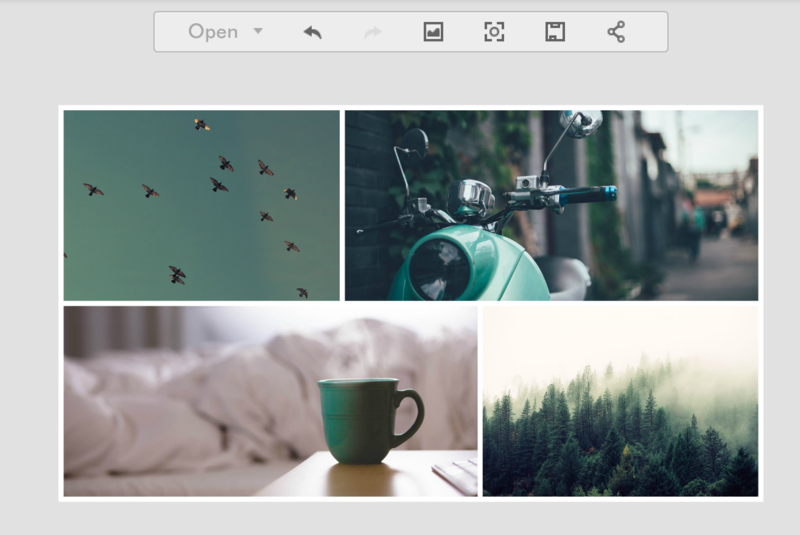 Pixlr is a 100% free tool that can be downloaded for Mac and PC. 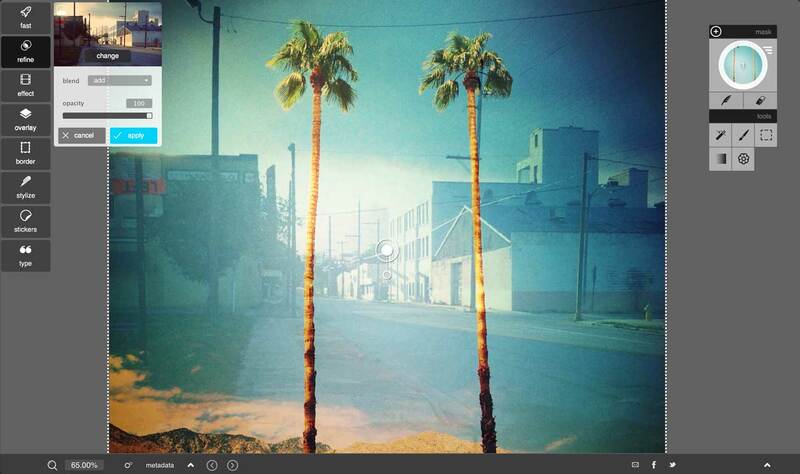 Photo blurring, cropping, filters, and other basic editing choices are made immediately available to Pixlr users. Pixlr Express can even be used without the need for any type of download. Edit photos, create a collage or even capture webcam footage, all from one simple and free platform. Our goal at Presto Media is to speed up the content creation process so our writers can accomplish more in less time while offering quick turnaround on assignment for our clients. By combining these 7 online content creation tools, we have seen drastic decreases in the time needed to create content while also realizing a large increase in the quality of the content our writers products on a daily basis. Which tools are your favorite to use for digital content creation? Sound off in our comments section.